The announced merger between Warid Telecom and Airtel in Uganda (a COMESA member state) may become an interesting test case for the COMESA Competition Commission‘s merger-notification regime. At least we here at AfricanAntitrust.com think so. Not only does this deal present the opportunity for outsiders to watch whether, and if so, when the parties will notify the transaction to the CCC (the thresholds and conditions to notifiability are almost certainly met, given the pan-African activities of Bharti, Airtel’s Indian parent company) — it also may raise substantive concerns from a competition-law and merger-enforcement perspective, in light of the fact that the reported fusion of the #2 and #3 players in the Ugandan mobile telecoms market would result in a de facto 3-to-2 merger. Once more, big news out of southern Africa. According to a notice published on COMESA’s web site, the Competition Commission (“CCC”) has received its first merger filing. And it is not merely any old filing — rather, two large global consumer electronics players, Philips and Funai, are the parties to this virginal transaction being notified to the CCC. As the notice points out in its aptly-named (yet somehow almost ‘cute’, if there is such a thing as cute in competition law) title, it constitutes “Merger notice no. 1”. As background to the transaction, neither party apparently operates on its own in the COMESA jurisdictional countries. They merely have sales via distributors and remote agents. An article in the Kenyan paper “Daily Nation” mentions that the parties had announced in January (right around the time that COMESA’s CCC became operational) that Philips would be selling its remaining audiovisual business to Funai as part of a changing business strategy. Here’s the upshot for antitrust lawyers and parties to future transactions with a potential impact in any of the COMESA member states: the mere fact of this notification legitimizes the entire COMESA regime. This is all the more true, as the parties are two global and important players, with presumptively excellent legal competition counsel (who must have advised that a filing with the CCC would be required, if not advantageous). My take: The fact that this rather important (and moreover rather remote, for COMESA jurisdictional purposes!) deal constitutes “Merger notice no. 1” is an absolute stroke of luck for the CCC. It lends serious credibility to its legitimacy. Competition Authority of Kenya wrests right to control M&A from COMESA. The Competition Authority of Kenya (“CAK”) has won the first round in its apparent jurisdictional battle against COMESA to control acquisition of shares, interest or assets among local firms, ending two months of uncertainty as to who the regulatory authority was for dealmakers. Kenyan Attorney General Githu Muigai has given the CAK the authority to act as the sole agency with the mandate to administer and clear local Kenyan mergers and acquisitions. This power purports to shield, at least temporarily, local firms from the COMESA competition laws. Under the multi-state competition regime, firms engaging in certain mergers and acquisitions with an effect in two or more member states are required to seek clearance from COMESA’s Competition Commission, a process that comes with significant costs and time delays not expected to the same extent with the CAK procedure. As to the timing of submissions, COMESA’s Competition Rule 3 provides that when a time period runs out on a weekend or holiday (Saturday, Sunday or other day the CCC is closed) the submission may be made the following day (not a Saturday, Sunday or other closure day). The Competition Regulations do not have any parallel provision regarding timing. So do the Rules govern the Regs? According to an official from the CCC, the Rules are promulgated pursuant to the Regulations. As they are designed to facilitate the operation of the Regulations, the Rule 3 computation of time is likewise applicable to the Regulations (where not otherwise specified). Therefore, no need to file prior to the expiration on a weekend day — rather, file immediately afterwards. “Notification of a notifiable merger shall be accompanied by a fee calculated at 0.5% or COM$ 500000, or whichever is lower of the combined annual turnover or combined value of assets in the Common Market, whichever is higher”. The interpretation of the above provision is that the COM$500,000 is the maximum fee payable for merger notification. 1. When a merger is received, the COMESA Competition Commission (‘the Commission’) will first calculate 0.5% of the combined turnover of the merging parties. 2. The Commission will then calculate 0.5% of the combined value of assets of the merging parties. 3. The Commission will then compare results in 1 and 2 above and get the higher value. 4. The Commission will then compare this higher value to the COM$500,000. If the higher value is lower than the COM$500,000, the Commission will consider the higher of either the combined assets or turnover as a notification fee. If either the combined assets or turnover is higher than COM$500,000, then the latter shall be the notification fee. • Company A proposes to acquire 100% of the assets of Company B. Both operate and have sales in at least two COMESA member states. Company A has turnover (within COMESA) of $15 million; Company B has turnover of $10 million. One-half of one percent of their combined turnover is equal to $125,000 (i.e., $25 million X 0.5%). • Company A has assets (within COMESA) of $7 million; Company B has assets of $3 million. One-half of one percent of their combined assets is equal to $50,000 (i.e., $10 million X 0.5%). $125,000 (turnover) is the higher of the two figures in steps 1 and 2. • Since the higher value of the assets vs. turnover (i.e., $125,000) is lower than $500,000, the filing fee is $125,000. The COMESA Competition Commission has recently made available the relevant merger filing documentation and forms. Complying with the requirements set out in Form 12 certainly appears, at first glance, to be relatively straightforward, however, contrary to what is stated in the COMESA Regulations, the Merger notification form appears to prohibit the closing of a transaction without approval (i.e., parties may not implement the merger or acquisition without the COMESA Commission approval). The attempt to legislate by way of the notification documents further erodes merger control certainty. Given the extremely wide ambit of what constitutes a notifiable merger, the COMESA Commission will need to ensure that the contradiction contained in the merger filing forms is urgently rectified. The COMESA Competition Commission’s FAQ and business guide documents provide important information for corporations doing business in the organisation’s member states. For even more insight into the COMESA antitrust regime — and its actual operation in real life — stay tuned for upcoming seminar information. We have recently seen several articles and law firm client alerts incorrectly identifying the filing fee schedule of COMESA. This post is designed to clarify and to provide accurate information to our readers. Rule: The filing fee for a merger notification under the COMESA regime is the lower of:  500,000 COMESA-$, or  0.5% of parties’ combined annual turnover or asset value within the COMESA market. The confusion as to “higher of” vs. “lower of”, which has sprung up in many firm publications, may be due to the somewhat awkwardly worded language of the amendments to the original 2004 Competition Rules. The amendments changed the text of Rule 55(4), dealing with the fee schedule and its calculation. Example: The two notifying parties have a combined turnover of 90m COM$ in the common market of COMESA. In this scenario, 0.5% of 90m COM$ equals 450,000 COM$, which is lower than the maximum fee of 500,000. Thus, the fee to be paid by the parties is 450,000 COM$. As a rule of thumb, if the combined annual turnover/revenues/asset values of the notifying parties is 100 million COMESA-$, then the fee will be the maximum 500,000 amount. Otherwise, it will be lower. 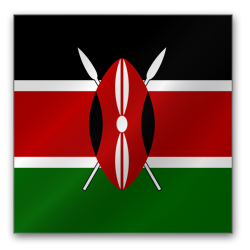 The Kenyan Competition Authority (CAK) has asked for formal guidance from the Kenyan Attorney General (and via his office from COMESA) as to notification requirements of mergers over which national competition authorities used to exercise exclusive or semi-exclusive jurisdiction. John Oxenham, at Nortons in Johannesburg (South Africa) has said to Global Competition Review that the CCC would inevitably “encounter teething problems. However, it is clear that the landscape in relation to merger notifications across the region has been dramatically reinforced with COMESA coming into operation”. COMESA member states have the procedural option of requesting a referral-“down” from the COMESA’s CCC (Competition Commission), once they gleaned that a notification has been submitted to the CCC and under circumstances that make it likely that the notified transaction may be harmful to competition within that member state’s market. COMESA (Common Market for Eastern and Southern Africa) is a supra-national group of 19 sovereign African countries; it is the successor entity to the 1982 Preferential Trade Area Agreement among eastern and southern African nations. For starters, here is a map of COMESA’s member states, which are as follows: Burundi, Comoros, the Democratic Republic of the Congo, Djibouti, Egypt, Eritrea, Ethiopia, Kenya, Libya, Madagascar, Malawi, Mauritius, Rwanda, Seychelles, Sudan, Swaziland, Uganda, Zambia, and Zimbabwe. Notably absent from its membership is the largest economy of the region, namely South Africa. Likewise, Tanzania is no longer a member, having left the bloc in 2000. Headquartered in Lusaka (Zambia), the 19 year-old organisation has recently upped the ante for companies engaged in commercial activities within the borders of COMESA member states… It has created and activated the COMESA Competition Commission (the “CCC”). 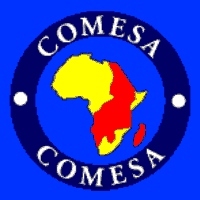 The COMESA Board of Commissioners is an appellate authority in relation to the CCC. Companies may also maintain actions against COMESA member states before the Court of Justice, provided they have fully exhausted their national-court remedies.